The New MCCC Website is Now Live! 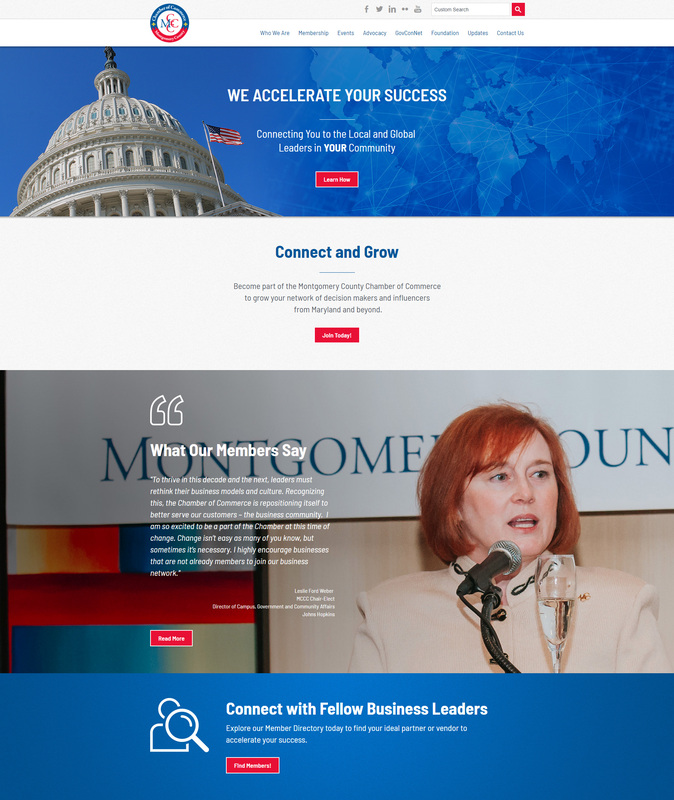 A few months ago, we announced our partnership with the Montgomery County Chamber of Commerce (MCCC) for the design, content writing/editing, and styling of their new website. Today we are proud to announce that the new website is now live. Designing the MCCC’s new website was a unique task. One of the first goals we focused on was displaying their recognizable brand in an accurate manner. Since they serve as a connection between private businesses and the government, we needed their design to reflect that balance. So we designed a site that hints at government relations and advocacy but feels like the modern website of a privately owned business. We then chose images to reflect the leadership that the Chamber attracts, the events they put on, and the work they do to create a lasting impact. The website is designed to present clear, engaging content. Working with MCCC, our design and content teams played an important role in making the site what it is today. 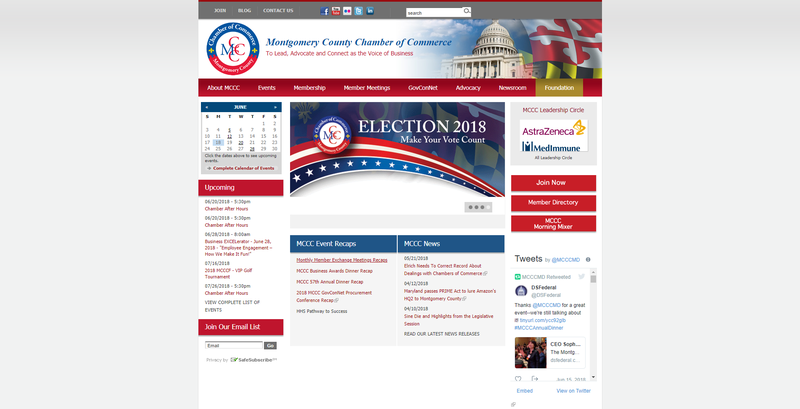 The content of the MCCC website was a large focus of the project. The reason: The MCCC does a lot. They host events, they do advocacy work, they have a non-profit foundation, and with all of these activities, they have a lot of information to share. From the start of this project to its launch, we worked closely with the MCCC to refine many aspects of the content, from voice and structure to what was relevant and what needed to go where. Through writing samples, phone calls, and meetings, we were able to find the sweet spot between what the Chamber was looking for, what is relevant to their members, and what will work for digital users in an online setting. This was truly a partnership that, in the end, resulted in dynamic yet digestible content. Working with the Montgomery County Chamber of Commerce was one of our most memorable experiences. 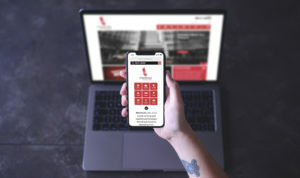 We were able to create a website that sets them apart from other chambers, and are confident its impact will reflect that. Make sure to check out their website today.